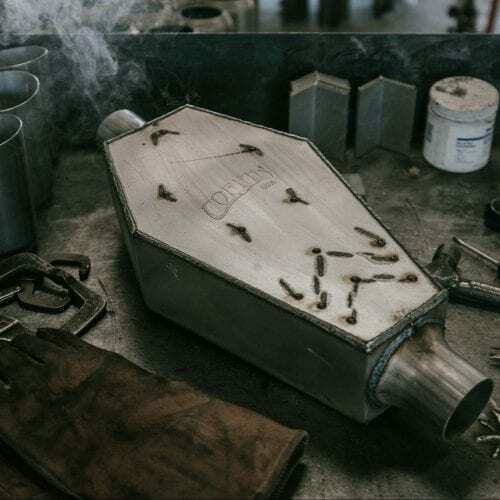 The Coffin Muffler – Increased Horsepower. Increased Throttle Response. Increased Fuel Economy. Here’s the deal: you take pride in your ride. We take pride in our products. It’s as simple as that. The Coffin Muffler is a versatile and effective product. Not only does it fit in almost any automobile application, it also fits pickups, tractors and motorcycles. In fact, if you can fit it in our shop, we can put a Coffin Muffler on it. 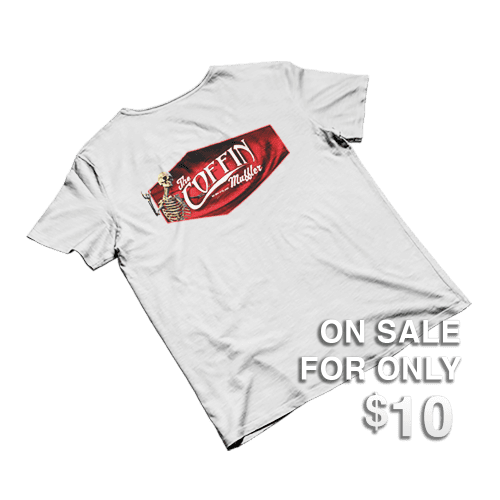 With Coffin Muffler shirts, hats, hoodies, and stickers for sale, you can now look just as great as your car. They don’t do it bad. We just do it better. After over 30 years in business, we’ve seen the entire evolution of the muffler industry. We’ve seen a lot of gimmick mufflers and an unfortunate number of major companies that have outsourced production to China and Mexico. With the Coffin Muffler, our goal was to take all the great ideas we’ve seen over the years and put them into one product, but we knew we wouldn’t be able to stand behind our mufflers unless they were made with 100% USA metal and manufactured in the USA. After multiple revisions to perfect our mufflers, you can now rest assured that when you buy Coffin, you’re getting the highest quality, longest lasting product made by a family that knows mufflers inside and out. We are incredibly proud of the work we do. We’ve compiled a sample of some of the projects we’ve worked on in our portfolio. Visit Facebook, Instagram and Youtube for more.